​Loads more Information later on in this page - you just have to scroll down to see it - Site Updated 28/03/2019. Click on most pictures for a larger version. ​Welcome to our website, hope you enjoy and please let us have your comments which can be sent to our Webmaster at kmbc2015wm@gmail.com. 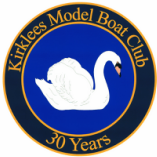 We are based in Batley, West Yorkshire, with members interests covering all aspects of model boat building and sailing in both scale and sail. We meet every Sunday Morning at Wilton Park and members also sail scale models on Wednesday Afternoon. Scale models are well represented throughout the year. Any models are welcome, we have the odd duck or swan. We also have submarines, hovercraft and, when the pond is clear, fast electrics can be run. We have a club night once a month (when possible, see events list for dates) at Batley Sports Centre. Some of our members have formed a sailing section which meets on Sunday Morning and on Wednesday afternoon. They hold races on Wednesday afternoon. There are several events run on a Sunday morning and both Yacht Racing and motor events are catered for. For more information please see the About Us pages HERE. We have many events running throughout the Year, both at home and at model and engineering events in other areas. Obviously there is less activity in the Winter months and we have even been known to have to crack the ice to actually sail any models. If the lake is frozen there are always hovercraft to entertain us. For 2019 there will be the usual Gala Days which attract a lot of interest from other model clubs and local people. For all that is happening this year see our Events page. For 2019 we continue our new venture for the club and we now have a Military Vehicles section, mainly Tanks. These will be on show at our Open Days and in use on Sunday Mornings at Wilton Park. We also now have a Club Members Message Board. This has been built by Andy Waters, to access the forum go to. the reader please CLICK here. 6th Leeds & Bradford MBC displaying at Yeadon Carnival (Saturday) ?? 21st Alverston Pirates Open Day ?? 29th Mutual MBC – Bring and Buy sale ? ?